There’s nothing worse than the feeling that you forgot to lock the front door – after you’ve already left home and gotten to your destination. 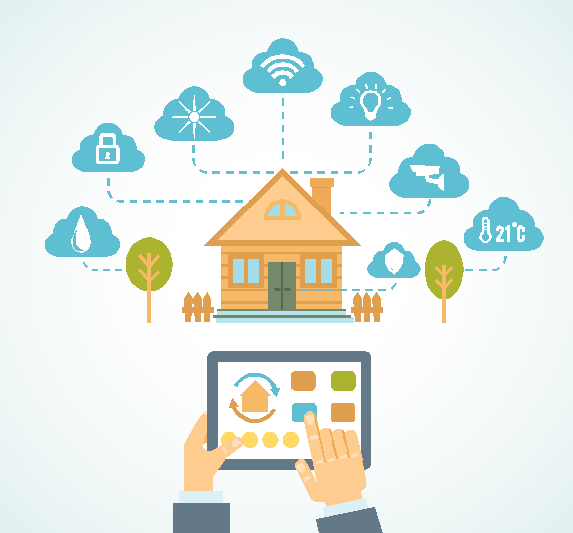 Soon, that feeling will be a thing of the past as more and more homes integrate smart technology. If you’re wondering what the latest trends are to trick-out your home, here’s a rundown of the newest technology to hit the market. According to Consumer Reports, the average American household can save up to $180 each year by installing a programmable thermostat. While there are many thermostats on the market that allow you to program heating and cooling cycles, the Nest Thermostat actually learns your preferences and begins to schedule and activate them on your behalf. It even senses when you’ve left home and will adjust the heating or cooling accordingly. When you think of smart home technology, you probably conjure up images of shiny metal, black plastic and unappealing design. But many of today’s gadgets are taking appearance into consideration, creating smart home tools that blend well with your décor. A great example of smart home technology that is appealing to those with design sensibilities is Lockitron’s door locks, which feature a sleek and ultra-modern design. One area where smart home technology is really taking off is in home security. A recent addition to the game is iSmartAlarm, which started as an Indiegogo campaign and is now on the market. This DIY smart alarm system lets you set up your own cameras, sensors and alarms and then monitor everything with the free companion app. It’s more affordable than many of the traditional home security systems that have been on the market for years, and if something triggers an alarm, you’ll get a text or phone call alerting you. Do you forget to turn lights off when you’re at home in the evening? Do you wish your lights would come on at night before you get home? While automated lighting has been possible for several years, smart home lighting is making big advances and saving energy and money at the same time. By connecting your lights to your Wi-Fi network you have a new level of control that allows you to access lights right from your smartphone or tablet. What’s even more amazing is that you can control them from the market down the street, or from your hotel on the other side of the world. How’s that for innovation? We’ve gotten used to being able to talk to our smartphones with Siri, but soon the systems of our homes will be controlled through voice activation as well. Amazon has developed the Echo, which comes equipped with your own personal assistant, Alexa. With the help of far-field voice recognition, Alexa can hear you from across the room, answer questions and play music. While the technology does not yet control things like heating and air conditioning, it isn’t hard to imagine that will be happening in the near future.